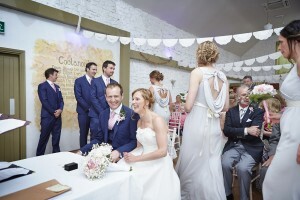 Coolanowle Country House is an exclusive private barn/ marquee wedding venue situated on a working organic farm in beautiful countryside on the Carlow/Laois border. We specialise in intimate weddings and cater for a maximum of 120 guests.The renovated barn conversion is used for civil ceremonies/ canapé reception & drinks. 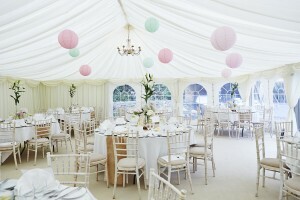 The marquee then opening into the barn for the meal and out onto the pretty courtyard BBQ area. Coolanowle is the ideal alternative wedding venue for those couples looking for an eco-chic, organic, festival themed wedding in natural relaxed surroundings. So what better place than Coolanowle with its three acres of beautiful beech woodland gardens and historic flax ponds to provide the perfect backdrop! 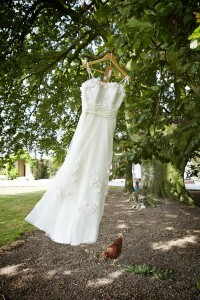 Our professional wedding planners are also available to hire to make your dream wedding a reality. 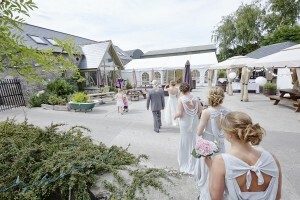 The barn at Coolanowle has been approved for civil marriage ceremonies. Humanist blessings have also been held on our beautiful beechwood lawns and by our lakeside setting. We even have our own celebrant for you to hire! For those wishing to get married in a church there are a number of pretty churches in close proximity to Coolanowle. These include the beautifully set Castletown Church of Ireland and the Pugin designed Arles Catholic Church with panoramic views of the local countryside. We use our own organic farm produce to provide a unique farm to fork experience for our guests. We also have our own bar license. Our 4 star Creative Catering Team ensure the wedding guests are professionally served with exquisite attention to detail from start to finish. For more information please see our wedding meal sample menu. There are a host of complimentary extras included in our pricing; from reception drinks, reception canapés, to wine for the meal, and even the afters food! Please note our menus can be tailored specifically to suit the Bride and Groom’s needs. Please just let us know your wishes. It is our aim to make your wedding day as bespoke as possible and one that is remembered for years to come by you both and all your guests! We guarantee personalised attention to detail and availability to discuss all your needs! Accommodation throughout Coolanowle Country House, its adjoining limestone cottages and its funky log cabin can sleep up to 36 persons. Numbers over this can be accommodated at preferential rates* in the 4 star Talbot Hotel in Carlow just a 10 minute taxi drive away. We have eight en-suite rooms in our 5 star approved guesthouse. All rooms have their own individual style & layout and all are adorned with beautiful antique furnishings. We also have a ground floor double room for anyone with limited mobility. Our two bedroomed ground floor annex/ family suite has two interconnecting ensuite rooms with a small kitchenette. This family suite is also suitable for anyone with limited mobility and travelling with a carer. In addition, we have two charming limestone cottages. Each cottage can sleep up to 5 persons and the log cabin sleeps up to 4 persons. For more information on our accommodation please click here. * Number of rooms at preferential rates are limited and subject to availability at time of booking. 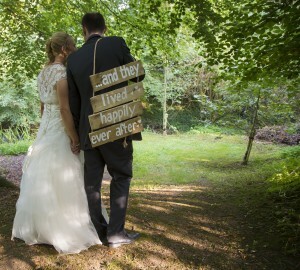 Why not have a look at our trip advisor wedding reviews to confirm the compelling reasons as to why Coolanowle Country House is the smart choice for your alternative wedding venue! 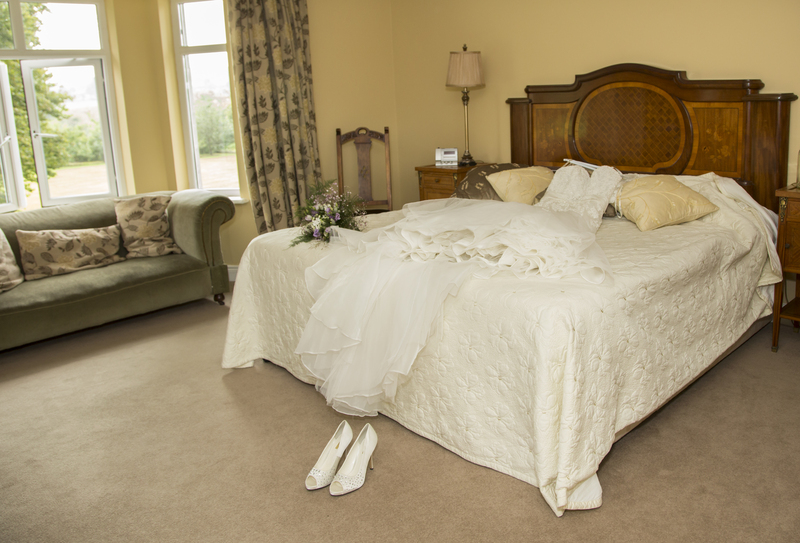 Prior to confirmation of a wedding booking a terms and conditions contract must be signed and specified deposit received.